A wily house manager and the cast of saints and sinners who live in Saint Silvanus bond together to expose the dark forces that took the life of a father and threaten to drive a final wedge between the mother and daughter left in the wake of his death. 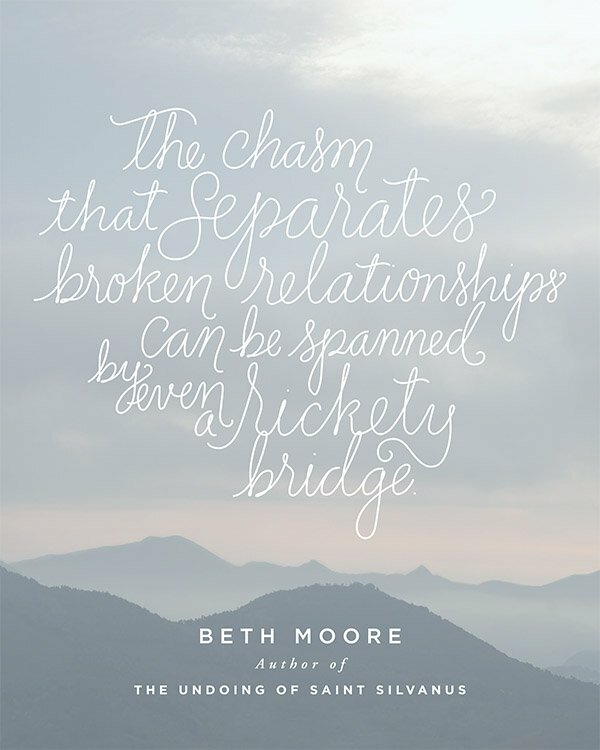 The exciting fiction premiere from beloved New York Times bestselling author Beth Moore. Only God knew why Jillian Slater agreed to return to New Orleans on the news that her father had finally drunk himself to death. It’s not like they were close. She hadn’t seen him—or her grandmother, the ice queen—in almost 20 years. But when Adella Atwater, the manager of her grandmother’s apartment house, called and said Jillian’s expenses would be paid if she’d fly in for the burial, a free trip to New Orleans was too intriguing to resist. What Adella didn’t tell her was that the apartment house wasn’t a house at all and, whatever it was, bore the dead weight of a long and painful history. As soon as Jillian meets the odd assortment of renters and realizes that her grandmother had no idea she was coming, she hatches a plan to escape. But the investigation into her father’s death quickly unfolds and Jillian is drawn into the lives of the colorful collection of saints and sinners who pass through Saint Silvanus. She soon discovers there is more at stake than she ever imagined. Who is behind the baffling messages and the strange relics left on the steps? Is it possible that her family is actually cursed? Or is it just this crazy old house that holds them all under its spell? Jillian walks into a web of spiritual and personal danger borne out of her family’s broken history, and despite Adella’s wiliest efforts, only God himself can orchestrate the undoing of all that is going on at Saint Silvanus. Also available in a variety of ebook formats. Audiobook available from Oasis Audio. 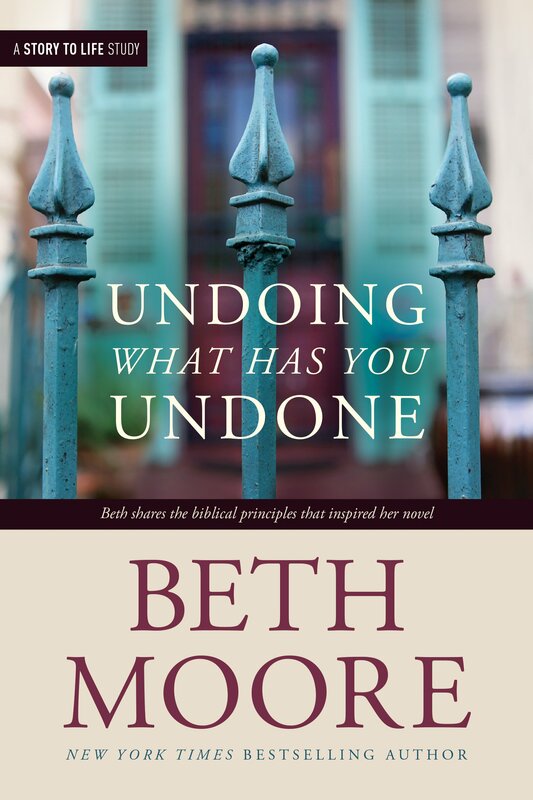 In Undoing What Has You Undone, Beth shares the Biblical principles that inspired her novel. Individuals and book groups will find it a useful tool to go into a deeper study including novel excerpts, reflection questions, exclusive video clips from her debut book club and Beth's inspirational teaching. This book guide and the Free Resources offered on this website will help you set up an enriching book group for seekers and believers, alike! 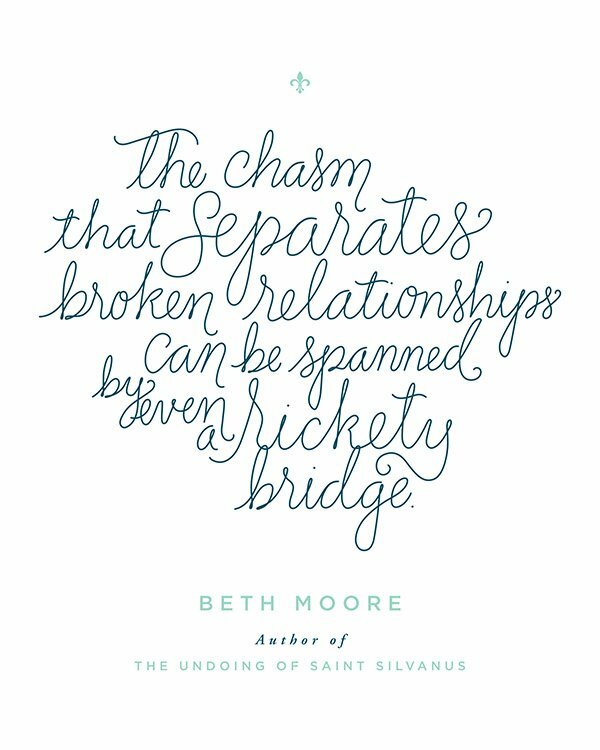 Bestselling book and Bible study author Beth Moore is a dynamic teacher whose conferences take her across the globe. She is a dedicated wife, and mother of two adult daughters and three delightful grandchildren. 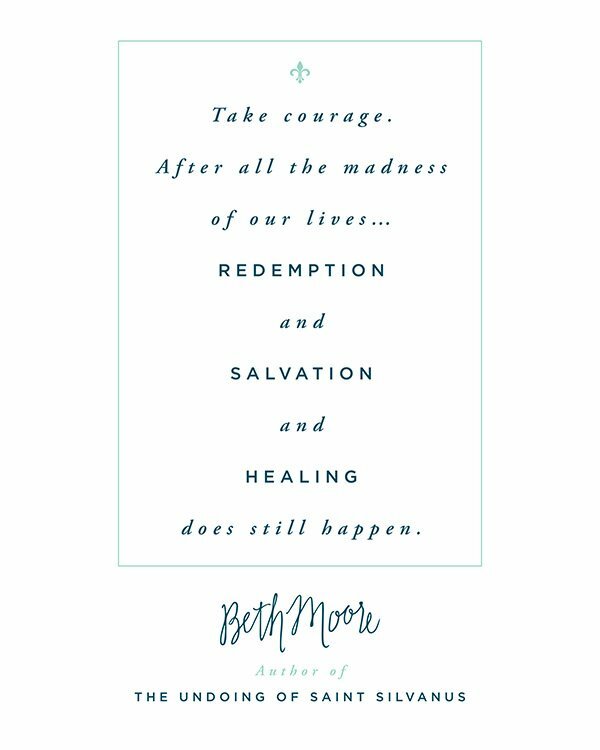 Beth lives in Houston, Texas, where she leads Living Proof Ministries with the purpose of teaching women how to love and live on God’s Word. 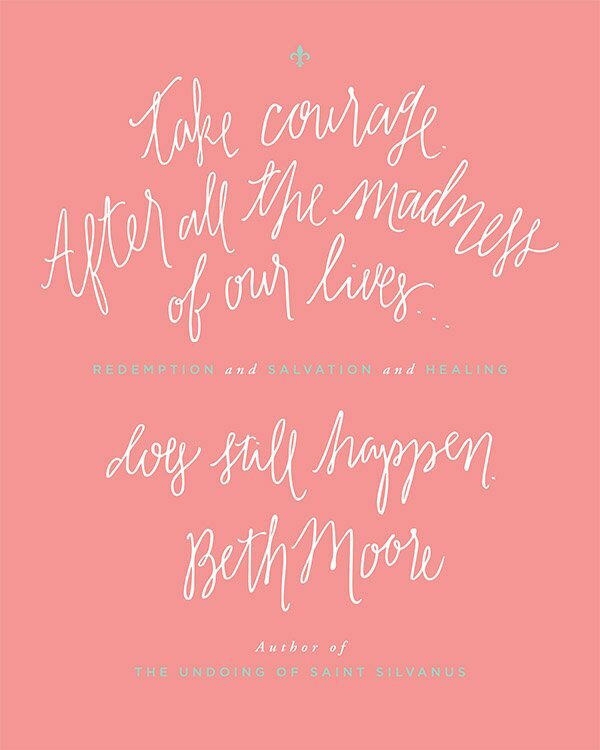 Beth is one of the best-known women in the evangelical Christian arena. 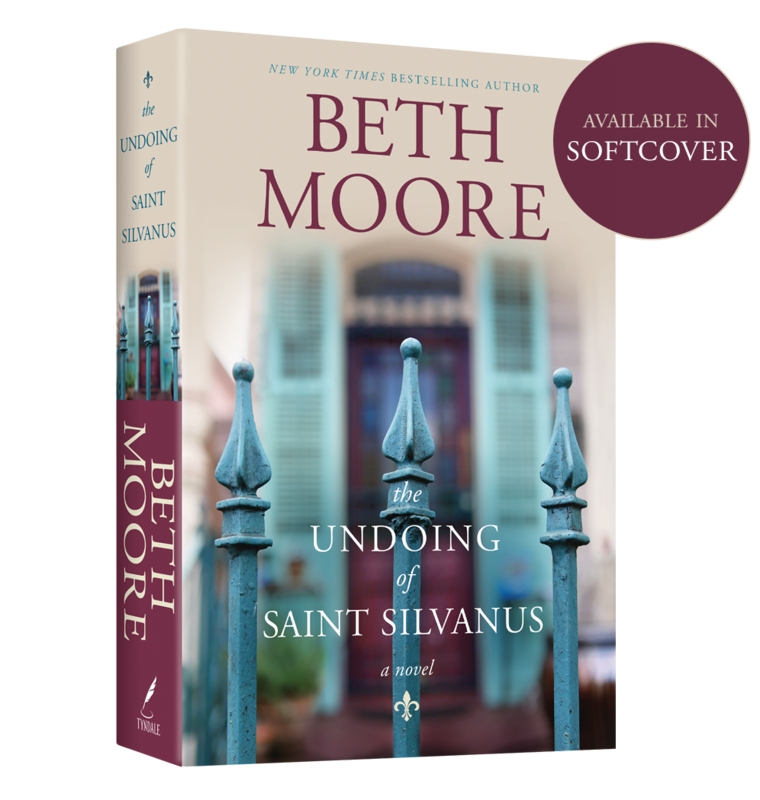 The Undoing of Saint Silvanus is her first work of fiction. The reviews are in! People love Beth’s debut fiction novel! Please contact Maggie Rowe or Katie Dodillet at Tyndale House Publishers, Inc. for media inquiries or to ask about interview opportunities. Copyright © 2019 Tyndale House Publishers. All Rights Reserved.